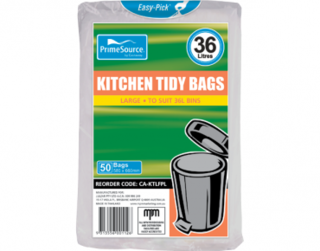 Our bags are guaranteed to break down in less than 90 days once disposed of correctly. 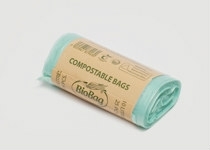 Compost Me compostable products are environmentally-friendly because they are made from sustainable materials with water based eco-friendly inks for the printing. 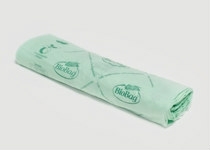 Our range of compostable products are fully certified and a great alternative to traditional packaging. 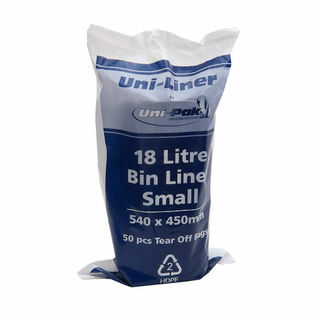 This 8L liner fits the Max Air bin. BioBag bags replace plastic and can be disposed of in composts or green waste collections. 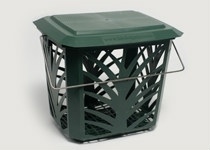 They can be used in organic farm production and food contact applications. Manufactured from Mater-Bi; the first family of bioplastics that use vegetable components such as starch, cellulose and vegetable oils and biodegradable polymer and natural plasticizers, all crops used are non-food origin. Also some of these crops are grown to assist in remedial land recovery. To be more specific, the oils are from weed seeds grown on marginal wasteland in a European Union country and specifically no Palm oil. 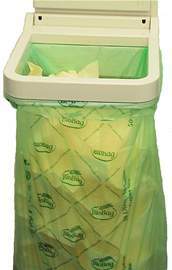 All grades are compostable and biodegradable during composting and include sustainable and renewable resources. 27 Litre High density kitchen tidy liners plastic. White. The eco-friendly 27L kitchen tidy liners are a perfect fit for medium-sized bins. Made only from natural corn starch bio-resins and constructed with extra microns, the tidy liners are strong and durable suitable for both household kitchen and commercial use. 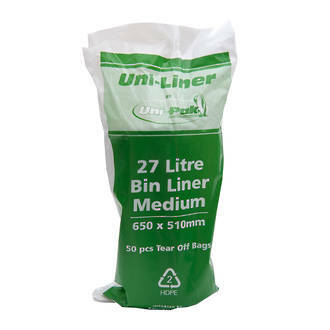 Certified to strict Australian and European standards, just drop your full bin liner into your compost system and they will degrade to carbon dioxide and water in moist conditions. 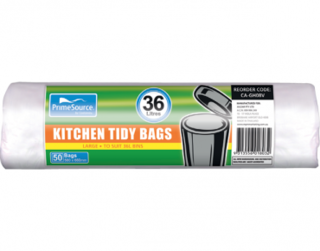 The 36L kitchen tidy liner is suited to large and extra-large bins. They are sustainable and eco-friendly being made from natural corn starch bio-resins and using water based eco-friendly inks for the printing. The bin liners are constructed with extra microns so they are strong and durable letting you store your organic waste without leaking. 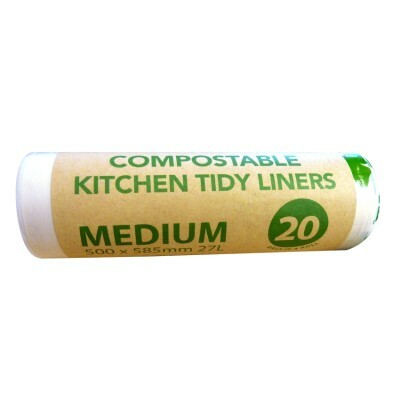 Afterwards, the compostable tidy liner degrades to carbon dioxide and water in moist conditions without leaving any harmful residues in the process.